The Vegas Golden Knights aren’t pressing any panic buttons, but four straight losses has been everyone in the locker-room on notice – the team needs to play better. The Golden Knights sit third in the Pacific Division with a 29-21-4 record through 54 games, thus far, and are five points back of the San Jose Sharks for second in the division. 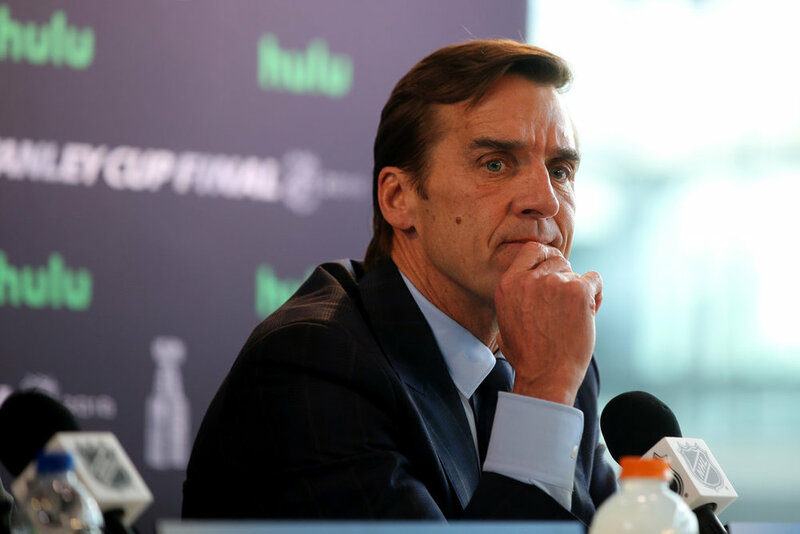 The club wants to battle for home ice in the first-round of the playoffs and GM George McPhee is believed to be scouring the League looking for outside firepower. Vegas has plenty of skill on its roster, but the likes of Jonathan Marchessault, William Karlsson and Reilly Smith have regressed offensively from last season. While newcomers Max Pacioretty and Paul Stastny are supplying extra offensive support – their numbers are, for the most part, living up to the expectations – McPhee appears to want more. McPhee has plenty of salary cap space to play with this season and has room to add a significant player or two to his roster by this month’s Feb. 25 trade deadline. The Knights have reportedly shown interest in such players as Columbus Blue Jackets star Artemi Panarin, New York Rangers right wing Mats Zuccarello, Ottawa Senators defenceman Cody Ceci and Anaheim Ducks winger Jakob Silfverberg. A move is not yet believed to be imminent, as it’s unclear if McPhee is presently engaged in any serious trade negotiations, but he’s certainly weighing his options.